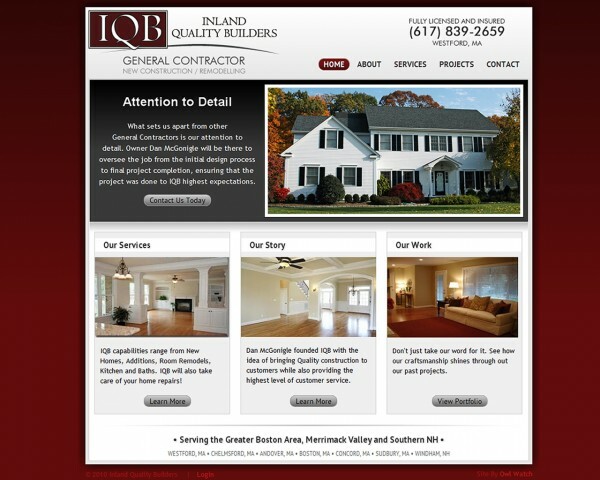 Inland Quality Builders is a well established company based out of Westford, MA. We serve the Merrimack Valley, Greater Boston and Southern New Hampshire areas. Our "Owner" General Contractor, Dan McGonigle, has over 10 years experience in quality construction. After schooling from University of Massachusetts Boston and Wentworth University, Dan has worked with several premiere contractors in the area - from land developers to custom home builders.